Wild Oats XI, Scallywag and Infotrack shortly after the 2018 Rolex Sydney Hobart Yacht Race start. 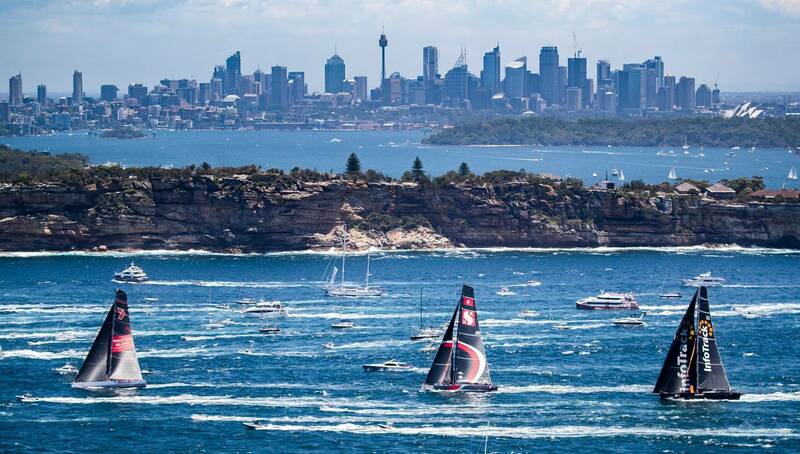 Photo: Courtesy Rolex Sydney Hobart Yacht Race. 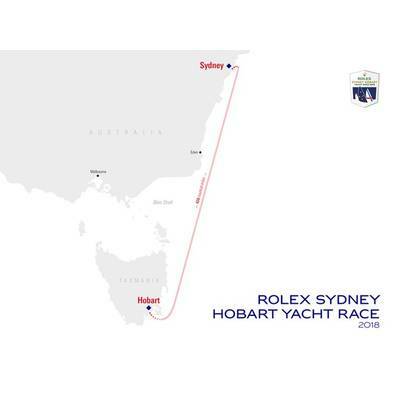 Rolex Sydney Hobart Yacht Race Course Map. 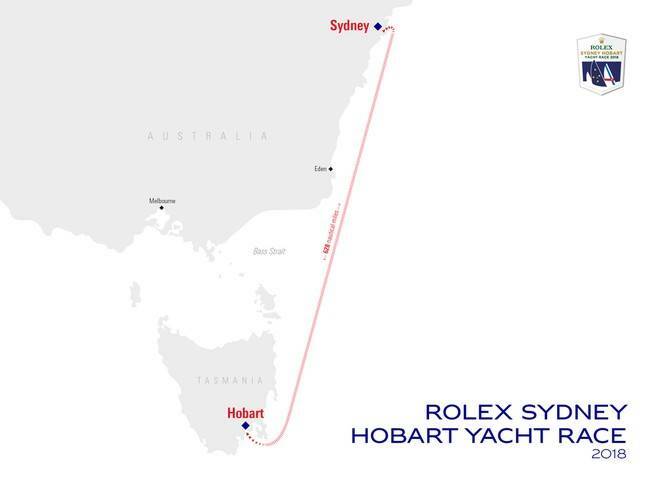 Image: Courtesy Rolex Sydney Hobart Yacht Race. Hong Kong super-maxi Scallywag became the first high-profile withdrawal from the 74th edition of the Sydney to Hobart blue-water classic yacht race on Wednesday. Scallywag was one of five super-maxis in the race, which started at 1 p.m. local (0200 GMT), with Black Jack holding about a minute lead out of the harbor. 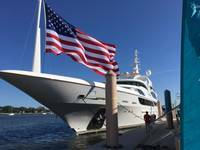 The Mark Bradford-skippered Black Jack took advantage of a drop and shift in the breeze as the leading yachts approached the entrance to the harbor. However, by shortly after 5 p.m. they were in fourth place, having being overtaken by fellow super-maxis Comanche, Wild Oats XI and Infotrack. 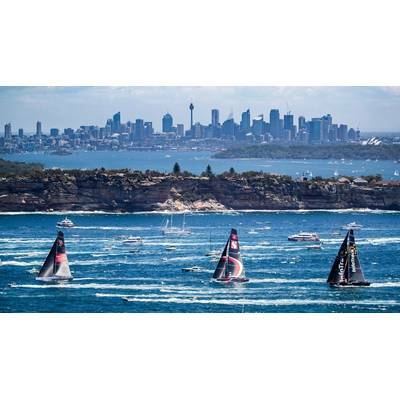 Last year's winner Comanche had headed further out to sea and were sailing at more than 27 knots with about 540 nautical miles until the finish in Hobart, while the three other big boats were closer to shore. Comanche took line honors last year in a race record of one day, nine hours 15 minutes and 24 seconds after winning a protest against Wild Oats XI for an incident shortly after the start on Sydney Harbor. 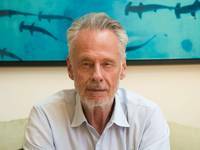 A total of 85 yachts entered the 630-nautical mile race, which is expected to be sailed in light to moderate north-easterly winds of between 15-25 knots and cause little in the way of dangerous conditions. The forecast will be welcome news for organizers who will on Thursday commemorate the 20th anniversary of the 1998 race in which a sudden storm sank five boats, killed six sailors and resulted in 55 others being rescued. 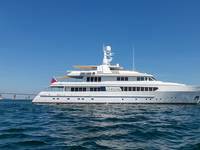 Australia's former Foreign Minister Julie Bishop was on the yacht at the start as a team ambassador but jumped off as it passed Bondi Beach.